Handcrafted from solid premium mahogany. 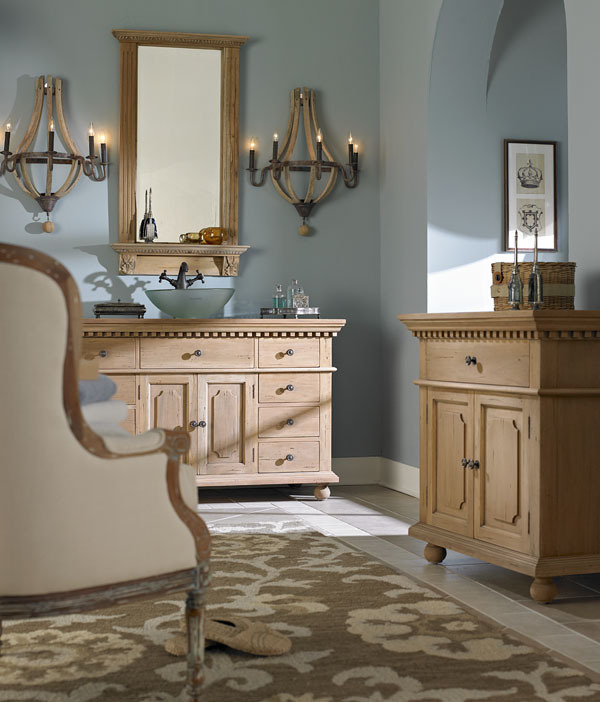 Single vanity features accented molded trim, one drawer and two raised paneled doors. 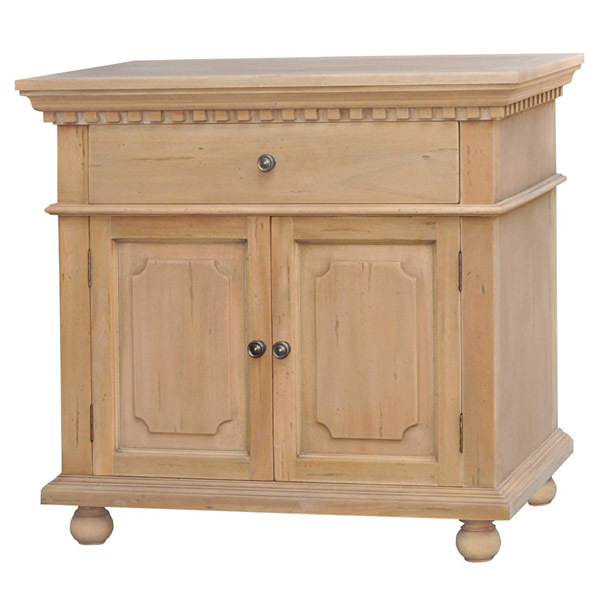 Shown in Drift Wood with Antiquing Premium Finish.